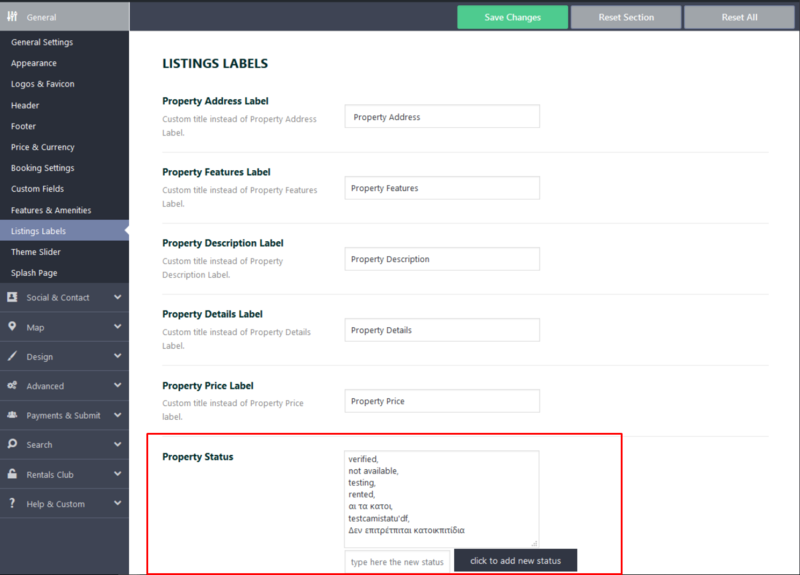 If you add new property status you will need to add a css class for it. Let’s say the status is “hot stuff”. The css class name will be .status_hot-stuff ( have “status_” just before the status name and then replace the space with “-“). Add the new class in custom css field in theme option. The class should contain background color and font color declaration.